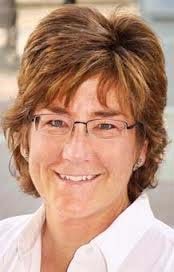 La Plata County Commissioner Gwen Lachelt is facing a recall effort because of poor job performance and the conflict of interest posed by her day job as an environmental activist. Finally, we might add. The Free Range Report has the story about the recall efforts by the La Plata Liberty Coalition, which has begun gathering signatures for the petition. Lachelt has been double-dipping and mixing job responsibilities, it seems. She works for an environmental lobbying group, Western Leaders Network, and made a trip to Washington last year as a lobbyist to advocate for the methane rule, but then appeared at a press conference hosted by U.S. Sen. Michael Bennet before the vote and represented herself to Beltway reporters as a county commissioner. More than a thousand residents of La Plata County, angered by restrictions within the codes that prohibit development and infringe on private property rights, voiced their opposition in a January 16 meeting. The recall petition says that La Plata County needs commissioners who govern with transparency, and don’t miss a lot of meetings. Commissioner Lachelt has not done that. She has repeatedly leveraged our public office for her private gain by appearing before the U.S. Congress and other federal government entities to advocate and advance her and her employer’s political and policy agendas under the guise of her role as our commissioner. We can and should expect our commissioners to act ethically and not to take actions that undermine the public’s trust in our local government. As a result of Commissioner Lachelt’s actions, the county has been required to investigate ethics complaints filed against her and to seek out ethics advice from at least one other county. We’ve been reporting on Lachelt’s radical environmental ties for years, so we’re glad to see that folks around Durango are finally getting fed up with her.